A Bond cleaning in Melbourne holds a significant value for both tenants and property owners or landlords in Melbourne. Since it is essential for the tenants to receive their bond back in full amount also the property owners to rent it to the new tenants in good condition. As a tenant you need to ensure that you follow correct procedures and maintain a clean house throughout your lease period. It is a common fact that landlords may give you a tough time on not letting you get the bond money. If your lease is coming to end and if it’s the time for you to move out, there are some essential steps that you need to follow in order to satisfy your landlords in Melbourne and a have stress free move. It is important to compare the entry condition report with the exit report prior so that you will not run into any issues in repairing or fixing things that you are not supposed to as those are broken when you first moved in. If you take a good look at the reports beforehand and take necessary actions accordingly you will receive your bond money back in full without any difficulty. A bond cleaning requires a lot of time and tremendous hard work as you need to meet your landlords’ expectations in order to satisfy them 100%. When it’s your time to vacate it is vital that you gather knowledge with regard to a bond cleaning process. Follow a checklist in order to meet your landlords’ requirements. As tenant, you also need to be aware of terms and conditions or any other rules so later there may not be any confusion or issues at your end. It is best to list and mark down all your items that you will be shifting to your new property. This will be helpful if you are living in a furnished house. Noting them down will make your life easier as well as the cleaning company that you will hire to do the bond clean. Therefore they would know what items belongs to you and you will not lose anything. Landlords in Melbourne are really hard to satisfy. They will come up with various issues just because they want the property to look good for the new tenants. It is best to pack your belongings into boxes and make sure they are not around so that when the cleaners arrive they can complete their job on time. However, you will not have to stress over things that have been misplaced or lost. No matter how much effort you put on cleaning, there still can be spots covered with dirt and dust. These areas can be the most difficult areas to reach or to clean and you don’t want to take a risk in getting your bond money back. Hence, it is best to do a thorough research and hire a professional cleaning company in Melbourne who are experts in Bond cleaning. These cleaning companies offer a guarantee that their cleaning will meet standards set by your landlord. Carry out a final inspection by yourself before your property manager, in that way you won’t be appointed into any false claim by your property manager regarding the damages done in the house. If any damages done by your cleaning company they are responsible in fixing them for you. 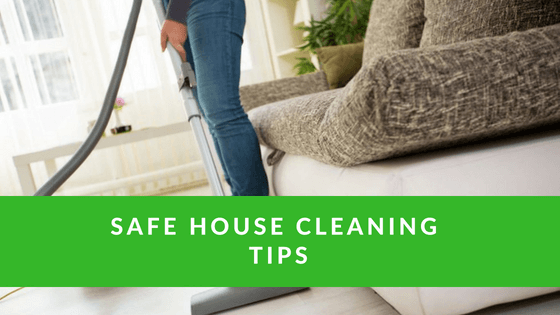 So avoid waiting till the last moment to inform your cleaning company in Melbourne. Before you leave the property make sure that you return the keys and household items that belong to the property. This will be very helpful in getting your bond money back in full without any disappointments and you will no longer be responsible for any damages later on. The property owners tend to offer more properties on lease due to the increasing number of tenants in Melbourne. Once you have followed these essential steps, you shouldn’t have to worry about getting your bond money back.